Arrested for DUI? DUI Attorneys Are Ready to Help! The Police are not your friends. Remember, they are trying to build a case against you. Requesting a drunk driving lawyer is not an admission of guilt. Know your rights and protect yourself! Every year thousands of Americans are arrested for driving under the influence of alcohol or drugs. If you decided to take the chance and drive after having too much to drink and were stopped by the police, your life has undoubtedly become more complicated. Now you are facing a number of harsh penalties ranging from prison time, fines, driver's license suspension, substance abuse counseling and / or education, community service, installation of an ignition interlock device, vehicle impoundment, and others. In addition to the DUI / DWI legal penalties, you also face repercussions outside of the courtroom such as an increase in insurance rates and additional proof of financial responsibility (SR-22 or FR-44) as well as the DUI / DWI arrest remaining on your criminal record which can affect future employment or housing opportunities that require a background check. If you have been arrested for DUI or DWI, it is essential to obtain the representation of skilled local DUI / DWI defense attorney to stand up for you and ensure you do not face unduly harsh penalties. Don't delay. The sooner you find the right DUI lawyer for you the better. Every state has drunk driving laws but they can be referred to by different names. Intoxicated driving laws are often referred to as DUI or DWI laws, but states may use other acronyms as well. If you have been arrested for Driving While Intoxicated or Driving While Impaired (DWI), Driving Under the Influence (DUI), Driving with Unlawful Alcohol Concentration (DUAC), Operating While Intoxicated or Operating While Impaired (OWI), Operating Under the Influence of Liquor (OUIL), Operating Under the Influence (OUI), Operating a Motor Vehicle While Under the Influence of Alcohol (OMVI), Driving Under the Influence of Liquor (DUIL), Driving While Ability Impaired (DWAI), Driving After Imbibing (DAI), Driving Under the Influence of Intoxicants (DUII), Driving While Under the Influence (DWUI), Driving with an Unlawful Blood Alcohol Content (UBAC), do not attempt to handle the charge on your own. Contact an attorney experienced in practicing drunk driving cases in your jurisdiction. If you have been arrested and charged with Drunk Driving in most states you will be facing two different proceedings: a criminal proceeding and an administrative proceeding. It is important to understand that the two proceedings are separate and distinct. What this means is that it is possible to be found guilty in one and not the other. You should also know that the fact that you are facing two separate proceedings does not violate the constitutional prohibition against "double jeopardy" due to technical legal differences between criminal and administrative proceedings. The criminal proceeding deals with most of the potential drunk driving penalties such as jail, fines, community service, et cetera. Your criminal trial will be held in the criminal court in the jurisdiction of your DUI arrest. 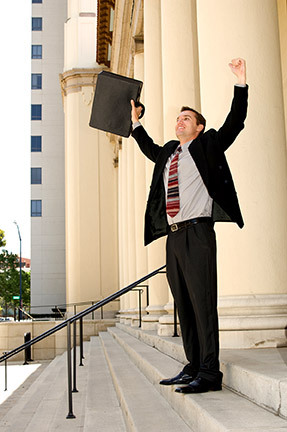 The criminal proceeding is what most people think of when they think of a criminal charge. For more information on the DUI criminal trial and penalties, see the DUI Penalties page of this site. Many states have another proceeding that also takes place following a DUI arrest that deals with the suspension or revocation of your driver's license. This proceeding, since it is not handled by the criminal court system but by the Department of Motor Vehicles, Department of Public Safety, or some other state administrative agency whose responsibility is the licensing of drivers is referred to as an "administrative hearing." There is no national "DUI Law." The Constitution of the United States reserves to the individual states the power to regulate DUI laws. It is the responsibility of each state to write its own DUI / DWI laws. Thus, the state where you are arrested for drunk driving will determine the specific penalties you will face. Determining the DUI laws and penalties applicable in your particular case depend on the specific circumstances of your drunk driving arrest. It is important, therefore, to contact a local DUI lawyer who is familiar not only with the specific laws in the state of your arrest but also, more specifically, the local court rules, judges, and prosecutors in the jurisdiction where your drunk driving charge will be adjudicated. There are a few constants throughout the 50 states. 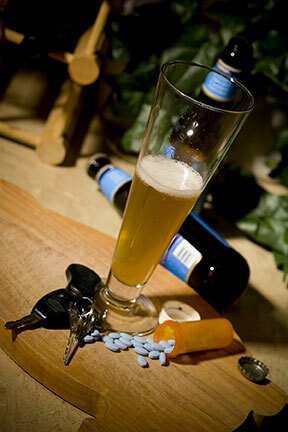 Most importantly, the legal limit for intoxication is .08% Blood Alcohol Content (BAC) throughout the United States. Whether you are in Alabama, Wyoming, or anywhere else in the US, if your BAC is .08% or higher you are not fit to operate a motor vehicle in the eyes of the law. Note that it is possible to be arrested and charged with DUI or DWI or another intoxicated driving violation in your state even if you do not have a BAC of .08% or above. Along the same lines, every state has adopted what is called a "zero tolerance law" for drivers under the legal drinking age of 21. What this means is that if you are under 21 years of age and an investigation shows that you were operating a motor vehicle with any detectable amount of alcohol in your system (.01-.02 percent BAC) you can be charged with drunk driving. Underage drivers should be aware that many states impose adult DUI / DWI penalties on drivers under age 21 when the underage driver's BAC is above the legal limit for adults (.08% BAC). When it comes to drunk driving, motorists holding Commercial Drivers' Licenses (CDLs) are treated differently than noncommercial drivers. The majority of states have set the limit for CDL holders at .04% BAC. Many states have also adopted separate laws concerning implied consent and penalties for CDL holders. If you have a CDL and have been arrested for DUI, the loss of your license probably also means a loss of livelihood. Do not take any chances. Contact a skilled local CDL DUI attorney today who will fight for you in court to help you keep your Commercial Driver's License. When people talk about DUI, most often they immediately think of alcohol. Although it is true that most DUI arrests are of motorists operating a vehicle while under the influence of alcohol, it is just as illegal to operate a motor vehicle under the influence of other drugs such as: marijuana, cocaine, psychedelics, opiates, inhalants, or any other dangerous drug. Some states have a separate name for the charge of driving under the influence of drugs and the penalties may be different but in general a DUI with drugs is treated the same as a DUI with alcohol. You will still be required to submit to chemical testing in accordance with that jurisdiction's implied consent laws and will still be facing both criminal and administrative penalties including loss of license, fines, counseling, and possible imprisonment. If you have been arrested for a DUI with drugs, contact a knowledgable DUI defense attorney in your area today to learn more about your charge and how to effectively fight your DUI. Operating an automobile is the most common intoxicated operation charge but be aware that you are not allowed to operate vessels, airplanes, locomotives while under the influence of drugs or alcohol. In some states it is even a crime to ride a bicycle or ride a horse while intoxicated. Every state handles these penalties differently but most states have separate statutes that deal with operating means of conveyance other than autos while under the influence of alcohol or dangerous drugs but the penalties are generally similar which means that you could lose your license to drive a car because you were arrested for driving a boat drunk. Contact an expert local DUI / DWI criminal defense lawyer today if you are facing a boating, flying, or operating any other intoxication related offense. How do I beat a DUI or DWI charge? The only sure fire way to beat a drunk driving charge is not to drink and drive. Since it is probably too late for that if you are visiting this site, the best you can hope for is that your skilled drunk driving lawyer can use his knowledge of DUI law, court procedure, and technical matters to your benefit. How much will a DUI / DWI cost? Getting arrested for drunk driving is expensive, the average cost of a DUI in the United States is in the thousands of dollars. In addition to paying a fine as one of the consequences of your DUI / DWI arrest, you will probably face other costs such as a driver's license reinstatement fee, installation and maintenance of an ignition interlock device, conviction based surcharges, fees for DUI school and / or drug and alcohol assessment and treatment, costs of imprisonment, and many others. You must also factor in other "hidden" costs of a DUI arrest such as the potential loss of work - especially for DUI / DWI offenders who hold a Commercial Driver's License (CDL) and transportation costs during the time of your DUI / DWI Driver's License Suspension. After considering these costs, you may wonder whether the advantage of hiring an experienced local DUI / DWI attorney is worth the additional costs. While skilled DUI / DWI defense lawyers do not work for free, their rates are probably more reasonable than you may think; and the truth is that you cannot afford to go into a DUI / DWI hearing without one. The benefits of having a competent local DUI / DWI attorney are far greater than the cost. Contact a DUI lawyer today for a free consultation to discuss your case today. You cannot afford to deal with a DUI on your own. How do I find the right DWI / DUI lawyer for me? The first thing you should do following a DUI / DWI arrest is hire a DUI / DWI defense attorney. As soon as possible after you are arrested for DUI it is essential that you contact a lawyer experienced in handling DUI cases in the area of your arrest. There are deadlines shortly after your drunk driving arrest for things such as requesting an administrative hearing regarding the suspension of your driver's license and other motions and documents that an experienced DUI attorney will have knowledge of and will be prepared to file on your behalf. So, how do you find the best DUI / DWI lawyer for your particular case? The DUI criminal defense attorneys on this site are experienced in handling DUI arrests in your jurisdiction and will fight for you in court. More importantly, they will have your best interests in mind throughout this difficult ordeal and will be available to counsel you on all aspects of your drunk driving arrest. The legal penalties and other consequences of a DUI in your state are not something that you should take lightly. Contact a knowledgable drunk driving lawyer today and start fighting your DUI arrest. The initial consultation will be free of charge. If you have been charged with DUI, do not try to handle it on your own; contact an experienced local DUI / DWI attorney as soon as possible. For more information on DUI Laws in your state, please visit the DUI Information, DUI License Suspension, and DUI Penalties pages.